Auto Affiliate Program Review | Scam or Legit? 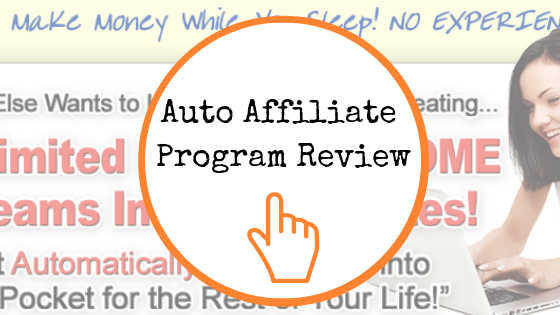 Auto Affiliate Program Review – Make Money While You Sleep? The Auto Affiliate Program promises that you’ll make UNLIMITED passive income streams. And in only 7 minutes. Woah! Does this program really live up to the hype? Is it really this easy to set up a passive income stream? So easy you can do it in your sleep? Let’s explore in this Auto Affiliate Program review. First of all, I just want to disclose that I am not an affiliate for this program. I’m just doing research to find out what programs are legit, and which ones you should save your money on. I do have a #1 recommendation, however, that doesn’t mean there aren’t other great trainings or programs out there. My goal is to help you trudge through the hype and find out what really can work for you (or not). – What is Auto Affiliate Program? – Is Auto Affiliate Program a Scam or is it Legit? Rather skip all this and get started the RIGHT way? What is Auto Affiliate Program? Affiliate marketing is actually what I do, and it’s absolutely a legitimate business. But it does take some work to do it the right way. Auto Affiliate Program is telling us that we can set up an affiliate program that’s automated and you can make money in your sleep. Is this really true? If so, why isn’t everyone doing it? Let’s take a deeper look into this program and see if it’s the real deal. First, here’s a video from Steven Hall, the creator of Auto Affiliate Program. He talks all about how he got started doing this, what it involves and then he takes you on a tour of the system. The idea behind this program is that you sign up for Auto Affiliate Program and then you have access to a variety of e-books. These e-books have affiliate links within them (your unique affiliate link will automatically be added to these e-books when you sign up for Auto Affiliate Program). You then give away the e-books and if anyone clicks on the links within them and purchases a product or service using your unique affiliate link, you’ll get a commission. If the people you share this book with start to share with others, you can earn even more commissions because your affiliate link will be attached to ALL of those book shares. There are over 100 e-books and they state in the video that they add 1-2 new ones per week. You will also get your own branded website. Instead of sharing e-books with people, you can send them a link to your website and they can browse all the available books. Steven states in the video that you don’t need anymore technical skill besides copying and pasting your affiliate link. He then goes on to show us how easy it is to copy and paste into Facebook Groups. Here’s where I start getting a little leery of the program. Let’s discuss in the next section. Is Auto Affiliate Program a Scam or is it Legit? I absolutely don’t think Auto Affiliate Program is a scam. They’re not going to take your money and run. When you sign up, you will have access to books that you can use. It is a legitimate program. 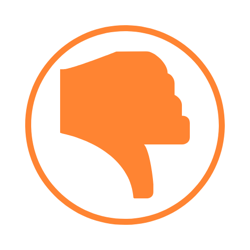 However, I still wouldn’t recommend it if you’re just getting started in online marketing. We left off with Steven showing us how easy it is to copy and paste your affiliate link into Facebook. He showed us a group that has 40,000 members called Make Money Online. He says there are 40,000 people that will have access to his affiliate link once he posts! That group is a Make Money Online group, which means the only reason people are there is to post their OWN make money promotions. I belonged to a group like this in the past, and absolutely no one clicks on your posts. That group allows affiliate links. Many, many groups do not. Just posting a link like that, even if it’s a free e-book, looks spammy and a lot of groups don’t allow it. In order to really do this well, you would need to have an existing website with followers. You would need to know how to promote this using certain keywords. Then, you could blog about the e-books, or write reviews about them. Otherwise, no one is going to respond. No one. I’m sorry to break it to ya. But, don’t worry. There’s hope! I am an affiliate marketer just like Steven Hall. The difference is that I’m not tied to a system or a program. I can make money writing about anything I want. This website that you’re on now is dedicated to helping people find their way through the “stuff” out there in the affiliate marketing world. I have this site because I like helping people find their way to a GOOD way to make money online. It’s rewarding! I also have another website dedicated to health and a plant-based lifestyle. I like helping people find ways to improve their health, and I love writing about food! You see, you can have a website about anything you want. Anything you have an interested in or a passion for. Why be tied down to e-books? Why be tied down to a certain system that can disappear at any moment? You can view my FREE Guide to Making Money Online for Beginners and I can show you how to get started the right way. I used a training that helped guide me step-by-step through the entire process of making a website, from start to finish. And it’s easier than you might think. I’ll show you. Being a member of Auto Affiliate Program is expensive! You are tied to their program. You HAVE to be a member to make money. What happens if the program shuts down one day? What do you do then? You won’t get anywhere if you don’t already have followers or an email list. Instead, if you’re looking to make money online, then why not start it the right way? I’m just going to go ahead and remind you about my free guide again. Just check it out and see what you think! I just want to help you get started in the same way that I did. Instead of these get-rich-quick-while-you-sleep programs, you can learn how to set something up that’s legitimate and can bring you residual income for a long, long time. Do you have any questions or comments about the Auto Affiliate program? Leave me a note in the comments section below! Any affiliate program that promises an unlimited income in 7 minutes is definitely a red flag for me. I certainly would not want to pay the $47 a month without giving it a try first. I agree with your number 1 recommendation. I have actually been with Wealthy Affiliate a couple of years now and I intend to stick with them for the long haul. Definitely worth it. And thanks for the heads up on the auto affiliate program. I am always looking for additional ways to make money, but definitely not with the auto affiliate program. Yea, I was really shocked by the price of this program myself. $47? Per month?? I thought it was a lot to invest for not much value. I mean, it’s good that you have access to all of their e-books, but unless you know how to market them, you’re going to be out $47 / month. I’m glad you gained a lot of value from being a Wealthy Affiliate member. I am definitely sticking with them as well! Thanks for this review. It shows how different affiliate programs work, and this one is no different from all the other affiliate membership programs out there. I might do this myself (light-bulb moment). I can’t say they’re ALL exactly the same. I’ll definitely be exploring more and doing more reviews. I’m really interested to see what else is out there. But yes, there are a lot that start with “Make money in your sleep” and that definitely makes me raise an eyebrow. Of course, you CAN make money while you sleep. But it takes time and persistence and patience to get there. And then you’ll be set because you’ll no longer have to rely on programs like this and you’ll no longer have to invest tons of money into it. Hi Christina 🙂 Auto Affiliate Program sounds like all the others I’ve ever come across. Now, it’s possible that it works but I don’t think any program should be asking for money upfront and especially if it’s a lot of money. Wealthy Affiliate as you know is free to join and offers the best training and support of any program. I experienced so many scams until I found Wealthy Affiliate. I’m not familiar with Auto Affiliate Program but very knowledgeable about Wealthy Affiliate. It only took me a few days to go premium and with about 4 million members right now, I’d say I made the right choice! I have come across something similar to auto affiliate in my search for a legitimate affiliate marketing program. And, honestly thought it was some kind of scam. Now I know it isn’t a scam, but definitely not ideal for someone who is just starting out. Plus the fact that you aren’t even given an opportunity to it and decide afterwards if it is for you is definitely not a go for me. I’m so glad I came across your article, it has indeed enlightened me more on what to always look out for. Thanks for your thoughts on my Auto Affiliate Program review. There are definitely red flags we need to watch out for. I’ll be exploring more programs and seeing what they’re up to. Hopefully I can find some good ones in the mix that are beneficial and can actually help people. I’m always looking for new ways to make money and if something’s good, I’ll give it equal air time. But I’ll definitely be pointing out those red flags too. Gotta be careful out there! Thanks for the information about the Auto Affiliate Program. I haven’t actually heard of this one, but I too am always trying to find new ways to make money from home. I love Wealthy Affiliate also. I just joined about 3 weeks ago, but I prepaid for a year because I can see the value there. All of the training is amazing and the community is I believe the best part. Everyone in the site is great! Good review on the Auto Affiliate Program. It takes time to build up an income with affiliate marketing, not just over night like it says. Thats where Wealthy affiliate really helps when you first start out. So much training available with a wonderful community. I am so pleased to be on there. Unfortunately with the Auto program, its not going to help people get the traffic up. Exactly, you got it! You’ve got to learn how to get traffic before you can begin to sell something, which is what Wealthy Affiliate teaches us how to do. Thanks for stopping by!